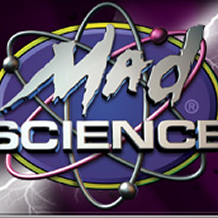 A Mad Science Spectacular Stage Show! This show deals with the science of magic—and the magic of science! We explore magic and science throughout history, including common themes and implements used by wizards of old and scientists of the present. In this scientific exploration of the mystic we make references to familiar fantasy tales and characters. To illustrate these elusive concepts we perform exciting demonstrations (including “bubbling potion-making and many other spectacular and mysterious reactions!). The perfect show for Harry Potter Fans! $13/$15, reserved seating.